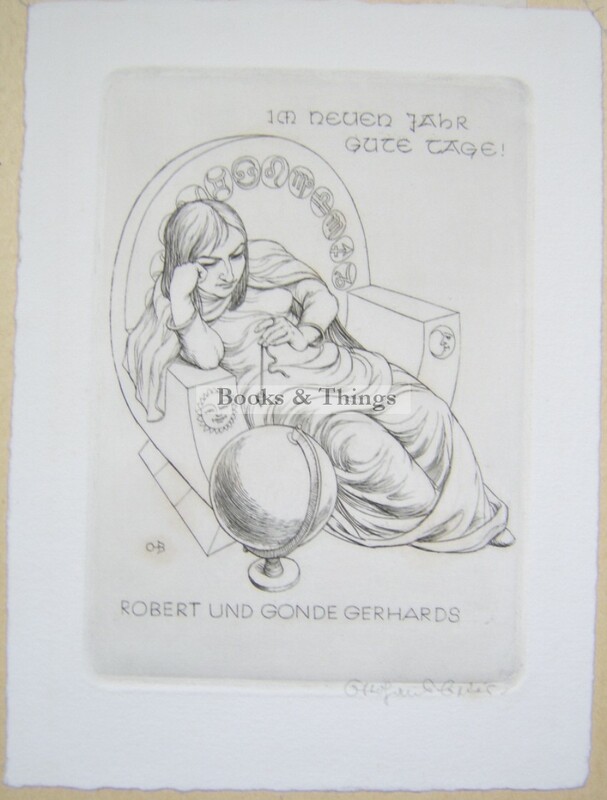 Otto Hans Beier: Greetings for Robert & Gonde Gerhards. Etching. Signed in pencil. A few foxing marks. Category: Christmas Cards. Tag: Ottohans Beier etching.